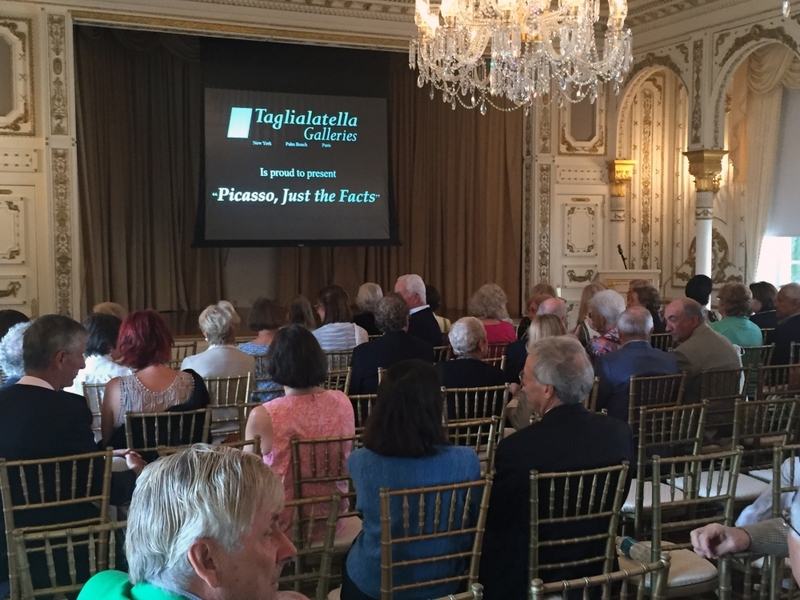 Dominic Taglialatella's next installment of his Art Lecture series, entitled "Picasso, Just the Facts", took place Wednesday, March 23rd at the famous Mar-a-Lago Beach Club, in Palm Beach, Florida. The event was so highly-anticipated that the ballroom was standing-room-only! The guest list was filled weeks in advance. Dom took his audience through the life and works of artist Pablo Picasso, and chronologially examined Picasso's life and artistic periods in relation to the expanding world of the late nineteenth century. Furthermore, Dom's use of modern and contemporary music facilitated his presentation of Picasso's history, and made for great discussion at the subsequent Seafood Buffet! April 20th. Please make reservations now, as space is already filling up- call the Palm Beach gallery (1-561-833-4700) to save your spot!